Rulebreaker Ride in the Nation’s Captiol – WeLove2Bike! Destination: Compass Coffee, Shaw, Washington, D.C.
Bike-friendliness: Large bike rack right in front and visible from seating area. 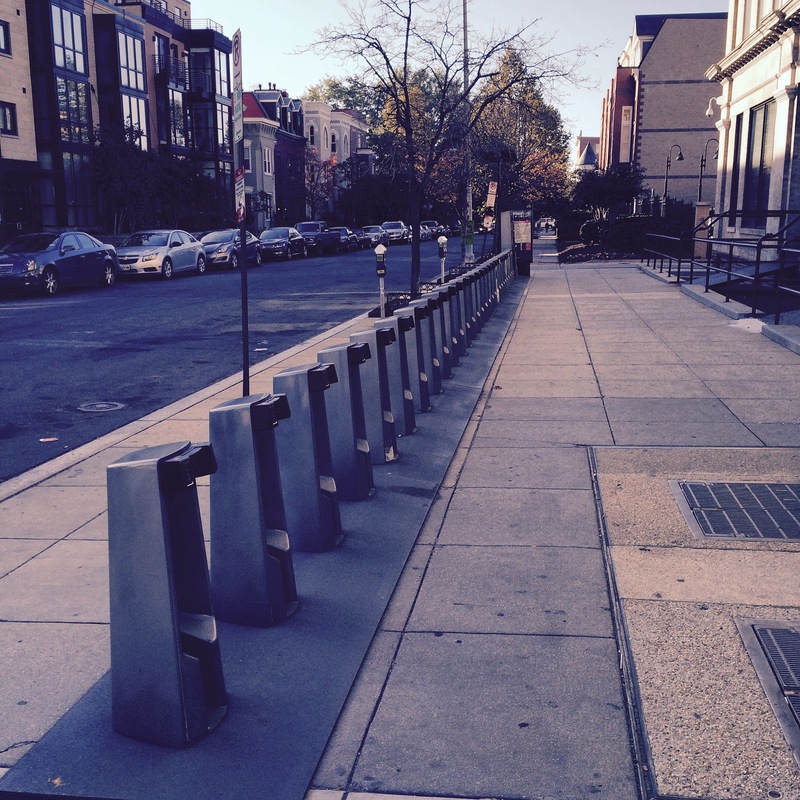 Within a block or two of Capital Bikeshare stations (in two different directions). I left the app in tracking mode while wandering on foot between miles 2.5 and 4+, as I searched for an available bikeshare bike. Note the squiggly lines during the walking time. Why the rulebreaker ride? Well, I was in Washington, D.C., for a conference from Wednesday through Saturday this particular week. 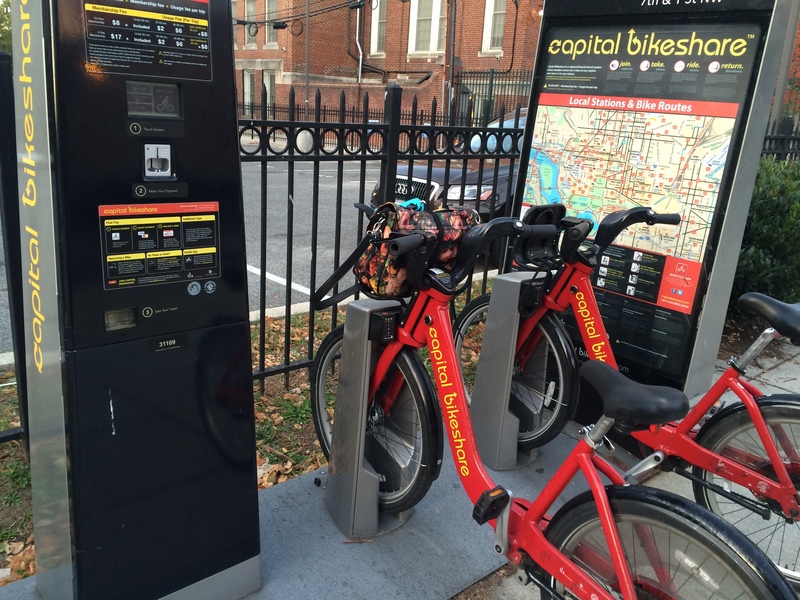 I often travel to D.C. for meetings, and I love having an excuse to get around using Capital Bikeshare. I always like exploring cities I visit by bike, and there’s something extra special about doing so in our nation’s capitol. I had been hoping to be able to get a coffeeneuring ride in on Saturday, but knew it was dicey, given that I did not want to miss the program scheduled for 8:00 a.m. on Saturday, and it would be hard to get up super early after an evening of receptions the night before. Wednesday I did not have to be anywhere until 10:00, so I had already begun planning a coffeeneuring trip when I saw on Facebook that the Women & Bicycles group was planning a coffee meetup that very same Wednesday morning! 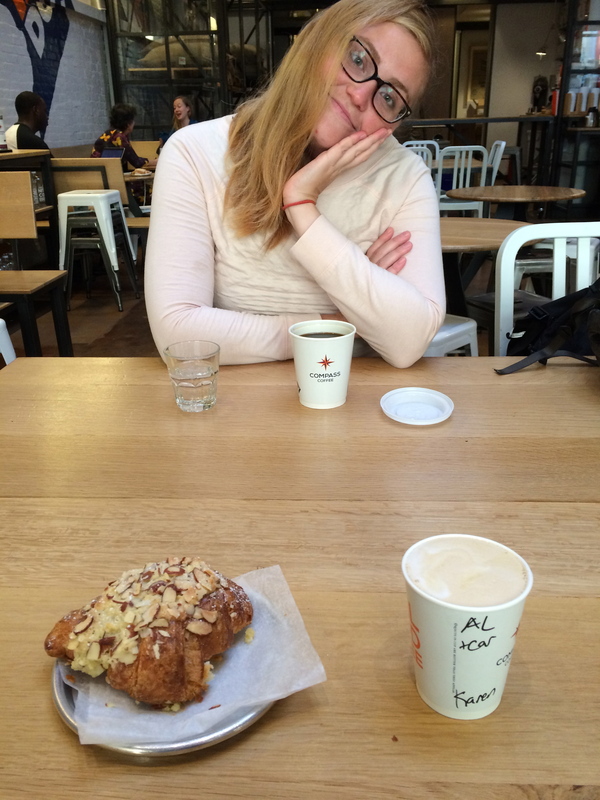 (That’s Ashley, who organized the meetup, in the photo above.) Last year, I had joined one of the group’s Wednesday morning meetups, even braving some heavy rain to get there. This time the weather was looking quite good, and the destination very doable from where I was staying. 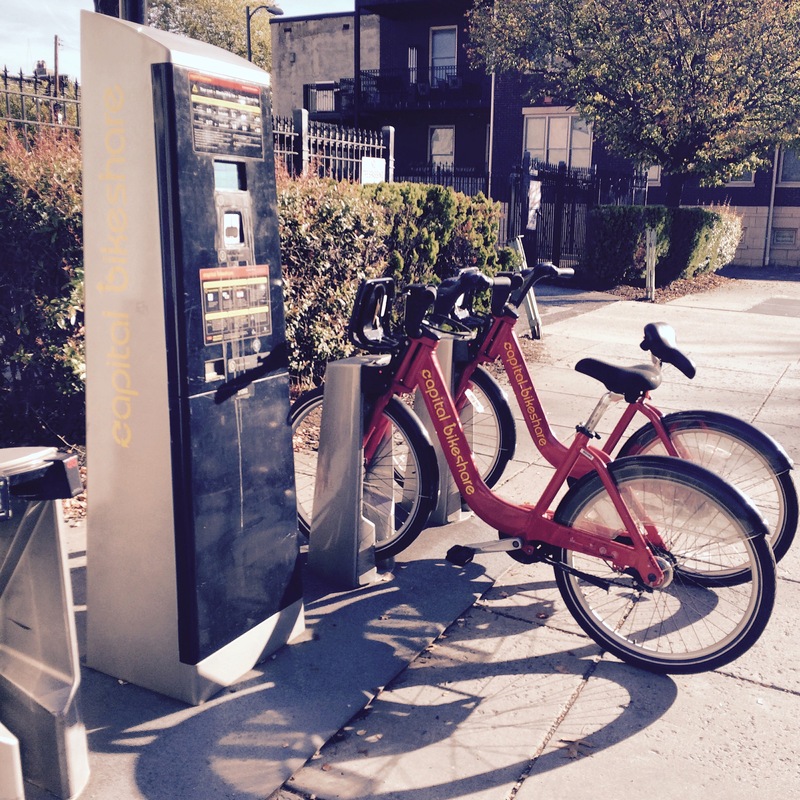 I walked from my Woodley Park B&B to the Capital Bikeshare station at the Duke Ellington Bridge on Calvert. This pic was taken looking back at the bridge as I headed in to Adams Morgan. I very much enjoyed this opportunity to see the Fall colors – a treat for this L.A. gal. Eventually, I found a bike on Massachusetts Ave, which wouldn’t have been so bad, had I walked straight there instead of meandering all over. 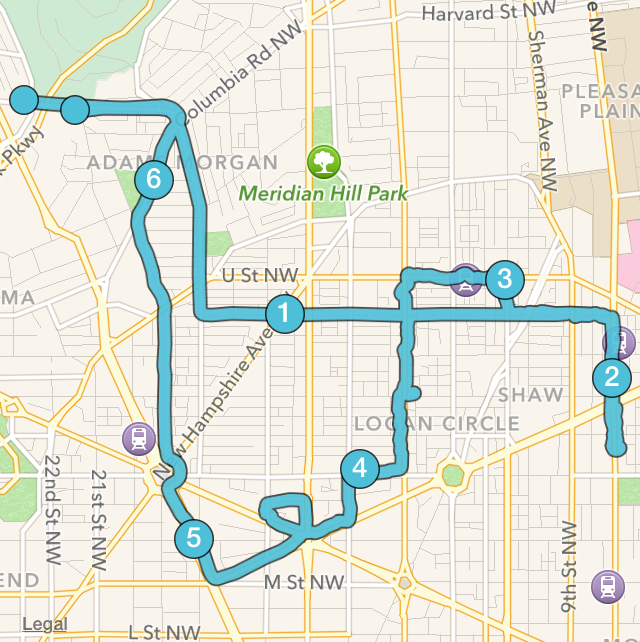 I did make it back to Woodley Park, but ended up being late for my 10:00 meeting. Of course, I could have made it on time, had I simply given up and taken Metro back, but I can be stubborn that way. Besides, being late for that particular meeting wasn’t a serious problem, and I enjoyed my little quest.